Caffeine is the most widely used psychoactive stimulant. Caffeine’s chemical name is 1,3,7-trimethylxanthine. It can be extracted from over 60 plants, the popular ones being a coffee bean, tea leaf, kola nut, and cocoa bean. It stimulates the brain and nervous system and has properties similar to addictive substances. European and North American statistics report that 90% of adults consume caffeine on a daily basis, with an average intake of 227 mg.
Caffeine is an active ingredient of tea and coffee and is also used as an additive in soft drinks, energy drinks, chocolate, bottled water, chewing gum, and dietary supplements. It exists as a hidden ingredient in most preparations, disguised under names like green coffee extract, Caffea sp, cola seeds, natural cola flavour, tea extract, coffee extract, Ilex paraguariensis, Ilex guayusa, Yaupon etc. The fact that it is included in so many weight loss supplements, caffeine definitely must be having some anti-obesity properties. A lot of research has been conducted on caffeine and coffee and their role in weight loss. The results are positive but they come with a number of side effects which occur as a result of a high dose. Caffeine is still a part of most weight loss supplements. Caffeine ingestion raises metabolism which is observed by increased body temperature and this rise in metabolism is reported to last for 3 hours in healthy individuals. Higher the dose higher is the rise in metabolism. LeBlanc and his fellow researchers show that caffeine ingestion increases the resting metabolic rate significantly in exercise-trained individuals. One study reported a 13% increase in energy expenditure and a 24% increase in fat oxidation upon caffeine ingestion. Researchers at the University of London reported a 3-4% increase in the metabolism of obese and lean individuals with a single dose of 100mg. Higher doses brought about a 8-11% increase. Oddly caffeine increases metabolic rate and fat oxidation in normal weight individuals while in the obese it increases metabolism without a significant increase in fat oxidation. Bracco et al also report similar results where coffee induced thermogenesis was found to be small in obese women compared to lean and fat oxidation was raised by only 10% in obese while 29% in lean. Caffeine’s effect on fat oxidation is also said to be age dependant. Study proves that it increases fat oxidation in young men compared to older men. What does this mean? Caffeine raises metabolic rate by 8-11%. However research shows that this effect may be slightly diminished in obese individuals. Japanese researchers assessed the effect of caffeine intake on metabolism and body weight in lean and obese subjects. 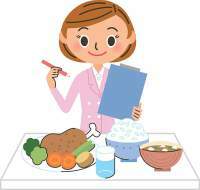 The subjects were asked to follow a low calorie diet and exercise regimen. Metabolic rate changed in a similar manner in lean and obese subjects. 2 months of treatment caused a significant decrease in body weight and body fat in obese individuals. Calorie shifting diet is a type of low calorie diet where you consume a different amount of calories each day in order to stimulate the metabolism. In this study individuals were kept on a calorie shifting diet with or without caffeine treatment. Clearly caffeine strengthened the weight loss outcomes of a calorie shifting diet. Improvement in satiety was also observed towards the end of the study. Researchers concluded that caffeine can be effective in weight maintenance. What does this mean? Caffeine in combination with low calorie diet and exercise brings about significant weight loss and also aids in weight maintenance. Exercise of moderate and high intensity raises your metabolism and this lasts for quite some time. Researchers prove that caffeine intake increases post exercise energy expenditure. Caffeine and repeated bouts of low intensity exercise increases fat oxidation. Caffeine is a popular stimulant and ergogenic aid. As a source of energy, caffeine stimulates break down of fats instead of glycogen stores in muscle tissue. In this study both animals and humans given caffeine 1 hour prior to exercise and a few blood tests were conducted after exercise. Results from both animals and humans showed an increased level of free fatty acids indicating break down of fats and caffeine increased endurance performance. Consumption of caffeine and carbohydrate during exercise is a common practice among athletes. Research shows that caffeine when ingested with carbohydrate increases the use of fat as an energy source and reduces the use of glycogen store in muscle. A few researchers feel that this effect of lipolysis or fat breakdown does not occur in muscles but involves other tissues. Australian researchers studied the effects of caffeine and exercise on weight loss . Individuals were allotted to either exercise only or exercise and caffeine group. Caffeine was given 90 minutes prior and 30 minutes after exercise. Two hours after exercise they were given an unrestricted meal. Exercise and caffeine resulted in increased energy expenditure and fat oxidation compared to exercise alone. Reduced energy and fat intake was observed in the caffeine group. Caffeine produced a great energy deficit. What does this mean? Caffeine potentiates weight loss outcomes of exercise and it stimulates burning of fats while preserving muscle glycogen reserves. A research study investigated the effect of different amounts of coffee on dietary intake in normal weight and overweight individuals. Breakfast with coffee containing 3 or 6 mg of caffeine was provided and 3 hours later an unrestricted meal was provided. High caffeine content sufficiently reduced energy intake. Researchers concluded that a moderate coffee amount can reduce energy intake more than low or no coffee intake in overweight/obese individuals. However, a few other studies show that caffeinated coffee does not affect appetite. What does this mean? Mixed reviews are available on caffeine’s effect on weight loss but most of these studies are conducted on coffee. However it seems that coffee with high caffeine content may have a short term curbing effect on appetite. Cell culture studies show that caffeine treatment dose dependently decreases the development of stem cells into mature fat cells by 20-50%. It also decreased the expression of fat related genes. Caffeine improves glucose tolerance and insulin sensitivity occurring as a result of a high fat diet in animals. It prevents body fat gain by activating catecholamines or our fight or flight hormones which mobilize fat from our tissues. What does this mean? Animal studies show that caffeine prevents body weight gain or damage to other metabolic parameters occurring as a result of high fat diet. Caffeine’s effect on weight loss is due to increased activity of fight and flight hormones that mobilize fat. We have two types of fat tissue in our body: brown fat and white fat. White fat mainly stores fat while brown fat helps to burn fat. Caffeine activates fat burning in brown fat tissue and this is noted with a rise in temperature of the tissue. Caffeine and ephedrine combination also stimulate brown fat thermogenesis by stimulating the sympathetic nervous system. Similar effect is observed with caffeine and diphenylpropanolamine, an appetite suppressant. What does this mean? One of the mechanisms by which caffeine lowers body weight is by activating brown fat tissue which aids in burning fat. A prospective study was conducted to assess the long term effect of caffeine intake on body weight. This was conducted over the period of 1986 to 1988 and caffeine intake was assessed repeatedly over 2-4 year. Over the time span, coffee intake reduced or increased in the consumers. Average weight gain was lower in participants who increased caffeine intake than those who reduced caffeine intake. In men, this effect was more pronounced in the younger population while in women the association between weight and caffeine intake was dependent on BMI, physical activity and smoking habits. 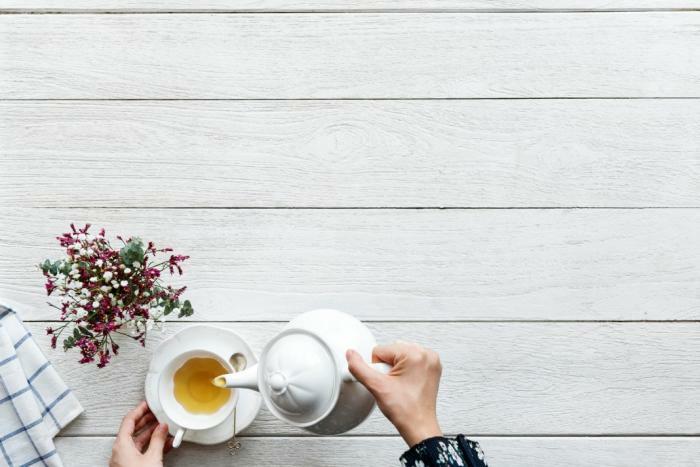 Researchers at Maastricht University studied the effect on green tea-caffeine mixture on weight maintenance in habitual caffeine consumers. The subjects were given low calorie diet after which in the weight maintenance period they were given a green tea-caffeine mixture. High caffeine consumers lost more weight and fat mass as well as reduced waist circumference more than low caffeine consumers. The green tea and caffeine mixture had no effect on high caffeine consumers but it caused weight loss in low caffeine consumers. What does this mean? Regular caffeine consumers (this typically means tea and coffee intake) tend to have lower body weight. The first weight loss supplements marketed in US were ephedra containing supplements which also contained caffeine. But due to safety concerns, they were banned from US and Canadian markets. As a replacement, ephedra free drugs were produced which contained caffeine from multiple sources. These were developed as tablets, capsules and other solid forms. They are indeed popular as weight loss aids or performance enhancers but again their tolerability and safety is a question. Caffeine containing drinks are also extremely popular. Unlike natural caffeine containing drinks, these sources of caffeine might have side effects. Caffeine as a stimulant and psychoactive substance finds its way in the energy drinks. These drinks have a varied caffeine content of 50-505 mg per can or bottle. Study indicates that caffeine as an additive in sugar sweetened beverages contributes to weight gain in adult as well as children. Chad et al discuss in their paper Caffeinated Energy Drinks — A Growing Problem of how these energy drinks can pave way for drug dependence and lead to caffeine intoxication and withdrawal symptoms. University of Alabama, Birmingham investigated the effect of herbal anti-obesity agent containing ephedrine, caffeine and other herbs 102 overweight/obese individuals. Subjects that received the drug experienced a 1.5kg additional weight loss and experienced a greater reduction in BMI and waist circumference than those receiving placebo. Ephedrine and caffeine combination delivers better weight loss outcomes than appetite suppressant, dexfenfluramine and leptin. Greenway and his fellow researchers reported an 8% increase in metabolic rate with the treatment of herbal caffeine/ephedrine combination and this promoted significant weight and fat loss. Studies on different dietary supplements containing caffeine have shown positive results in terms of weight loss but its potential toxicity can’t be ignored. Caffeine is included in a number of dietary supplements and energy drinks. Caffeine and ephedrine were the first popular weight loss supplements to be marketed but ephedrine posed a number of side effects. Daily caffeine intake should be limited to 100-250mg. A caffeine tablet contains as much caffeine as one to three 5-ounce cups of coffee. Anything near 600mg or above can cause serious side effects. It is best to start with a small dose to see how your body responds to it. Preferably consult a doctor before taking caffeine supplements. Also, assess your daily caffeine intake. This resource should help you. High doses of caffeine (400-1000mg) can cause nervousness, heartburn, insomnia, nausea, seizures, confusion, anxiety and dizziness. To avoid caffeine withdrawal symptoms gradually reduce your caffeine intake. Caffeine shows great potential as a fat burner though more research should be conducted to assess its individual effects on fat and weight loss. The amount of side effects associated with it, kind of makes me cautious of the use of caffeine as a weight loss supplement. FDA has banned the marketing of pure caffeine powder as it is extremely hazardous for health. If you ascertain the right dose of caffeine with a doctor’s help and your body seems to accept it then you are good to go. But definitely, do not start on caffeine supplements without consulting a doctor.